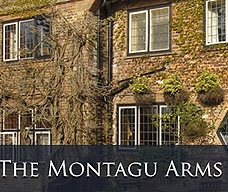 The Montagu Arms offers a super venue for team building, meetings and overnight stays within the New Forest National Park. Timeless elegance awaits you at the Montagu Arms Hotel, a charming 17th Century Hotel nestled just an hour away from London in the heart of the New Forest National Park. The hotel offers 22 luxurious rooms, individually decorated and of unique style The hotel offers undisputed sophistication and well equipped modern conference facilities. Boasting a Michelin star restaurant all guests are in for a seriously special treat for their dining experience. 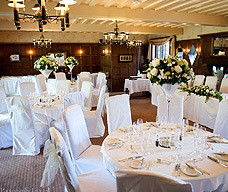 Both the exterior and interior of the Montagu Arms Hotel offer quintessential English charm and timeless sophistication. Elegant original features including oak flooring, panelling and old brick fireplaces pervade throughout the country house hotel, providing an opulent setting for corporate meetings and events. 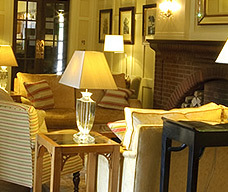 The beautiful Montagu Arms Hotel is set in the Beaulieu Estate in the New Forest and although tucked away in a magical place you are only 30 minutes away from the major city of Southampton. All bedrooms have en suite facilities, colour television, hair dryer, trouser press, writing desk and complimentary tea and coffee. Great thought and attention has been given to decorating rooms to the highest of standards providing pure luxury. The terrace restaurant is listed in the good food guide and the Telegraphs top 50 restaurants in the UK.The Brasserie 'Monty's' can also be traced back to the 17th Century and is renowned for the good home cooked food and real ales.